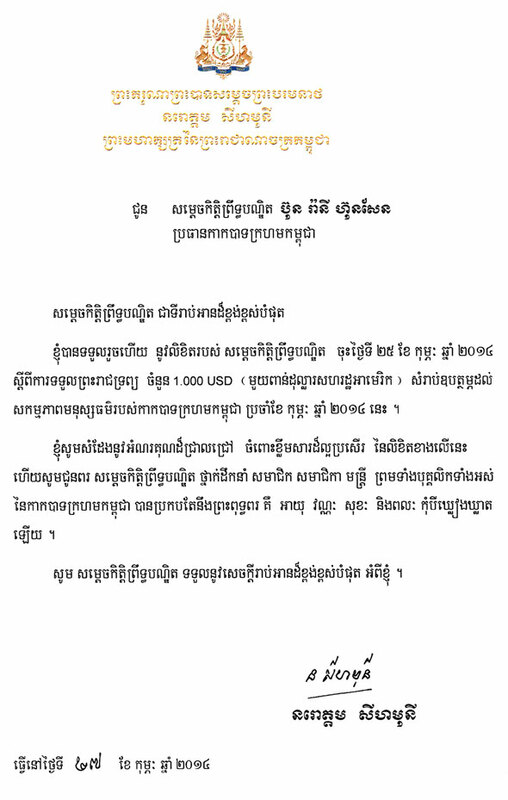 Letter to Samdech kittiprittbandit Bun Rany Hun Sen, President of the Cambodian Red Cross. Letter to Lieutenant General the Right Honourable Sir JERRRY MATEPARAE, Governor General of NEW ZEALAND. Letter to H.E. Mr. MAHINDA RAJAPAKSA, President of the Democratic Socialist Republic of Srilanka.